Founded by a group of civic-minded ladies in 1851, the Flint Public Library has provided library service to the community for over 150 years. 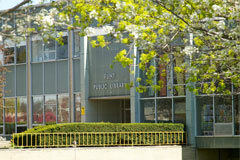 The Library, formerly a department of the Flint Board of Education, is today a District Library serving the citizens of the City of Flint and the surrounding communities through a Main Library. 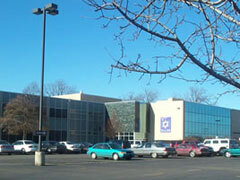 The Flint Public Main Library is the west anchor for the campus of the Flint Cultural Center. Its lawns host art, blues and storytelling festivals in the summer. Year-round indoors, you'll find a rich and diverse collection of resources, expert staff to connect you with the information you need, and an array of activities for young and old. One of the Library's primary undertakings has been to preserve the heritage of Flint and Genesee County for over a century. The Michigan Collection, at the Main Library, is one of the largest in the state. Our collection of local publications chronicles the history of our area from pioneer days through the boom times of the auto industry to the present. The Main Library is home to the second largest open stack genealogical collection in Michigan as well as being a Federal Depository Library for government documents. 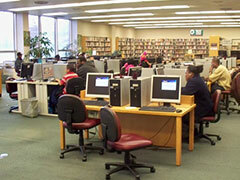 The Flint Public Library has a well-rounded collection that celebrates the diversity and achievements of its citizens. The Library's special collections include a large section devoted to the Black experience in the history and literature of our country. Since 1905 the Library has maintained a Children's Section in the Main Library to provide for the enrichment and enlightenment of our youngest readers. Today, the Library has the largest fiction and nonfiction collection in Genesee County devoted to the interest of young readers, with a collection of over 50,000 volumes. The Young Adult section of the library - The Teen Zone - serves as an information resource for the adults of tomorrow, providing them with literature and resources to help them plan for the future. Citizens of the community visit the Library to monitor their investment portfolios, attend a story hour, listen to nationally-known speakers, check their e-mail, read the out of town papers or borrow a movie or music CD.